Have you considered self-publishing your book? This two hour workshop is for writers interested in sharing their work through self-publishing. Learn about self-publishing best practices, from writing your first draft to getting your book in to the hands of readers. In this workshop you will learn how to organize your project, edit your manuscript, and marketing for book sales. By the end of the session, writers will have an understanding if self-publishing is right for them, and how to successfully do it. Following the workshop, participants will receive classroom notes, FAQs, recommended reading, and resources via email. 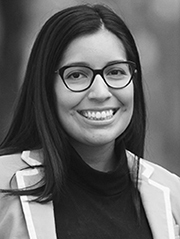 Ariel Mendez is an author/illustrator with a background in public policy and international studies. Her debut picture book, Fear and a Friend, was launched on Kickstarter and selected as a Kickstarter “Project We Love.” Upcoming titles include Hair Like Me (Heather Burris/Ariel Mendez) and Dear God (Reina Dovelier/Ariel Mendez). Ariel is a member of the Society of Childrens Book Writers and Illustrators, where she has presented on self-publishing and book marketing. More about her at: arielmendez.com. Teaching Style: Ariel is engaging and interactive. Come ready with questions!